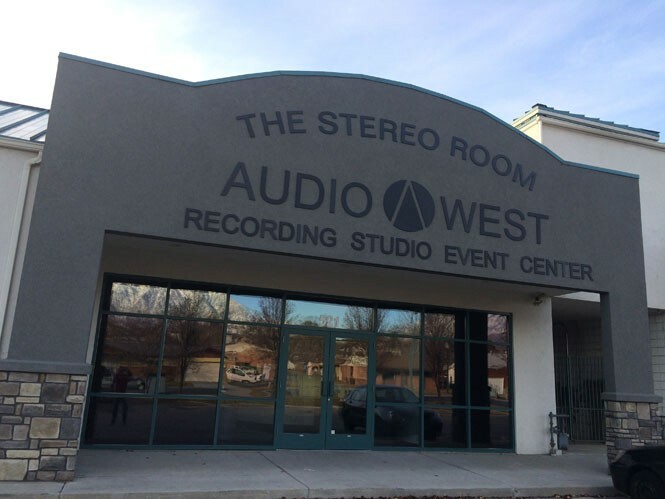 If you've driven along Interstate 15 in Orem recently, you've probably already gotten a glimpse of The Stereo Room (521 N. 1200 West, 714-345-8163), located just off the east side of the freeway between 800 North and Center Street. Opened in November, The Stereo Room is a new all-ages venue and event center that showcases intimate performances by local and touring bands, in a city that usually gets overshadowed musically by its southern neighbor, Provo. The next show happening at The Stereo Room will be a New Year's Eve bash featuring R&B/pop musician Mimi Knowles, John Allred and more on Wednesday, Dec. 31. To buy tickets in advance and find more information, visit TheStereoRoom.com. Muse Music Cafe, long a fixture of University Avenue in Provo, is closing its doors at the end of this month. But owners Debby Phillips and Darcie Roy are determined to keep Muse closed only temporarily while they search for a new location that will better suit their vision for the venue. Until then, all of Muse's 2015 shows have been canceled until further notice. Phillips and Roy plan to keep the future incarnation of Muse in Provo, and one notable difference will be that the cafe aspect will be gone for good—no more grilled-cheese sandwiches. But there is a lot of reason to look forward to a new & improved Muse. "We recognize that Muse Music is an integral part of the Provo and Utah music communities, and we promise Muse Music will be back and better than ever as soon as possible," Roy states in a press release. For updates regarding future shows and the new location, visit Facebook.com/MuseMusicCafe. In February, City Weekly will again host its annual local-music showcases, where attendees and judges decide who will be named as the 2015 band, rapper/rap group and DJ of the year in March. One notable difference this year, though, is that what were once called the City Weekly Music Awards (CWMAs) have been renamed as Best of Utah Music. However, the competition is still designed to support local musicians and get their music in front of a wider audience. Stay tuned to CityWeekly.net/BestOfUtahMusic for more details, as well as January's online poll, which will decide which 10 bands, rappers and DJs will perform at the showcases.